The Institution of Civil Engineers (ICE) in the UK has 77,000 members; 3,700 of them are women. The Institution's Council debated this disparity and established ICEFLOE, the Institution's equal opportunities forum. The remit of ICEFLOE is to promote equal opportunities, not just for women, but for all. The membership of ICEFLOE is drawn from groups which are under-represented in civil engineering, in particular women, people from ethnic backgrounds, older people and the disabled. The membership is constantly under review to reflect the issues of the day. All members are practising engineers who understand the problems faced in our profession and who are committed to making a change. Our first task was to write our Equal Opportunities Policy Statement. This really forms the core of all the work we do. The Institution of Civil Engineers is committed to a policy of equal opportunities. We value the diversity and creative potential that men and women with differing backgrounds, skills and abilities bring to the Institution. We will endeavour to foster an environment free from harassment and unfair discrimination in which individual potential can be cultivated, so that everyone associated with the Institution can act against prejudice with open and critical minds. This policy applies to members of all grades, employees and applicants. The Institution also encourages its members to follow a similar equal opportunities policy in their workplace. The Royal Institute of British Architects and the Institution of Structural Engineers have already adopted this policy statement as their own. 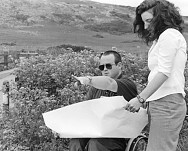 Beverley Hughes MP launched ICEFLOE at the Institution of Civil Engineers in June 2000. Senior figures in the construction industry at tended the launch and contributed to the debate. ICEFLOE received excellent publicity and was hailed as a major step forward for the Institution of Civil Engineers. At the launch we set, somewhat controversially, targets to double the number of women fellows in one year, increase the representation of ethnic minorities on Council within three years and see the first woman president of the Institution within ten years. Since our launch we have already achieved several of our goals. We have set up a web-site, www.ice.org.uk/icefloe, which offers a chat room and fact sheets on flexible working, age discrimination and ethnic issues. The web site is a useful networking tool, particularly since our membership is worldwide. In February 2001, we organised a reception to attract and retain more women in the profession. Nick Raynsford MP, Minister for Construction, spoke at the reception and gave government backing to our initiatives. We unveiled a photographic exhibition called 'Real' at our launch. The aim of the exhibition was to give exposure to engineers from under-represented groups in our profession. Six engineers were photographed in their workplace and each one made a statement about 'Real Careers, Real Lives, Real People'. The exhibition is now touring the country. We have achieved good publicity about our work in our Institution magazine, New Civil Engineer and in other publications such as Woman and Home. We are reaching out to our membership through our Local Associations. Each Local Association has an ICEFLOE representative who has been briefed and trained to assist with the individual member's problems. In January 2001, we issued a questionnaire to all our members to help us establish how many of them come from ethnic backgrounds. We compiled the questionnaire using advice from the Home Office and will use the results to establish our ethnic policy. We are already meeting with minority ethnic groups and placing links to them on our web site. We have joined the Employers' Forum on Age, an expert group which offers advice on age related issues. Many UK engineering companies are currently experiencing a severe skills shortage. ICEFLOE has recognised that one way to address this is to attract retired engineers back into work, on a part-time basis if required. We are in the process of establishing a database of retired engineers who want to work and will put them in touch with employers who need to recruit. Retired engineers offer fantastic business benefits to companies including low training costs and typically very loyal service. We have made changes to our Institution building in Westminster to make it more accessible. Improvements include the installation of hearing loops in the lecture theatres, a new reception desk suitable for approach by people in wheelchairs, clearer signage and we are currently commissioning ramp access, a challenge for a Grade 1 listed building over 80 years old. Most recently, we now have our first woman Vice-President in over 180 years of the history of the Institution. We have already achieved a 40% increase in the number of senior women fellows and a greater representation of women on Council. When ICEFLOE was first launched, the task ahead seemed insurmountable. However, we have found that by addressing issues one by one, we have generated a momentum and an awareness way beyond our expectations. We still have lots to do, but the real measure of our success will be when we don't need ICEFLOE any more. 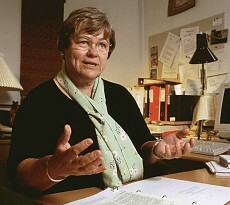 Bodil Dahl Ekner graduated in 1965 with her MSc in Geodesy, Cadastral Science and Planning at the Royal Veterinary Agricultural University in Copenhagen and began working as Head of section with the Danish Directorate for Cadastre (now Ministry of Housing, National Survey & Cadastre) and part time with the Danish Directorate for Development, the division of Land Consolidation. From 1968 to 1978 she became a part time teacher in Land-Surveying at the Technical School for Building-Constructors and was from 1969 to 84 Head of different sections in the Danish Directorate for Cadastre. In 1969 she also became a chartered Surveyor. Since 1974 Bodil has been officially appointed as an External Examinator in Land Management and Agricultural Structure at University of Aalborg and has been Head of division in the Directorate for Food, Fisheries and Agro Business since 1984. From 1980 to 1994 Bodil was member of the Board of Chartered Surveyors and elected Vice-chairperson for 9 years and also member of the Board of Surveyors working as Civil Servants and in other Companies than Surveyor-companies from 1980 to 1991 including 6 years as Chairperson. Currently Bodil is Danish Delegate to FIG Commission 7 and member of the Consultative Committees for Forests and for Nature, the Civil servants Consultative Committee for Spatial Planning, the advising Committee for Planning and Outdoor Life at the Danish Forest and Landscape Research Institute and the leading Boards in Centre for Countryside Planning and in Margrethe Kogs Pumpelag. Bodil Ekner's personal interests include swimming and walking along the North Sea coastline. She is married and has two grown-up sons. Much of the attention of United States citizens has been focused during the last several months on the election of 2000 and the changing of the guard in the White House and Congress. Far too many have also focussed attention on such things as who will win on Survivor or Who Wants To Be a Millionaire? Yet, one of our nation's most serious concerns -- ensuring equal opportunity for all -- has had its share of attention as well. In addition, its chief tool, affirmative action, has been quietly moving forward on a bumpy roller coaster ride. In the forefront have been four pending cases, all involving flagship universities in their respective states. At the moment, according to an article by Sara Hebel in The Chronicle of Higher Education, the four cases are vying to go to the Supreme Court on appeal. Her article is entitled, "Courting a Place in Legal History." At issue is the question of whether -- and how -- such things as race and underrepresentation can be taken into consideration in college admissions. At the University of Georgia, three white women who had been denied undergraduate admission charged that the school's admissions policies gave preference to borderline applicants who were black. Those policies, said the women, were therefore unconstitutional. Last July, a federal district-court judge agreed. He ordered the women admitted, and ordered the university to pay a total of more than $9200 to the women as compensation for expenses involved with higher tuition at other schools. The university appealed the case to the U.S. Court of Appeals for the 11th Circuit, but announced that it would discontinue the controversial admissions practices while the lawsuit was pending. At the University of Michigan, two white undergraduate applicants who had been denied admission to the College of Literature, Science, and Arts charged the college with discrimination, again citing use of different standards for black and Hispanic students compared with those for white students. In December, a district court ruled in favor of the university, which had argued, supported by many well-researched briefs by friends of the court, that its policies were necessary to provide the desired climate of diversity for its student body. A separate case has been brought by a white female plaintiff, assisted by the Center for Individual Rights, a legal advocacy group. The class action suit is against the university's law school, once again charging that discriminatory practices were conducted for admissions. At the University of Texas, four white law school applicants who had been rejected sued on the basis that the admissions policies used different cutoff scores for white students and minority students. The suit charged that this violated the plaintiffs' rights under the equal protection provisions of the Fourteenth Amendment. In March 1996, the U.S. Court of Appeals for the Fifth Circuit ruled that the law school was unconstitutionally using race in denying admission to the four applicants. In an additional and potentially historic ruling, the three judges declared that the colleges in their circuit could no longer abide by the 1978 Supreme Court decision known as Bakke, which had permitted admissions offices to use race as one factor among many in making their decisions. In March, 1998, a less significant ruling against the university prompted the Board of Regents of the Texas system to appeal, saying that the ruling enabled the university to argue broader issues in the case; last June, the Fifth Circuit heard arguments in the appeal and a ruling is expected sometime this year. At the University of Washington, the Center for Individual Rights, on behalf of a white applicant who had been denied admission in 1994, sued the university's law school, arguing that the student's constitutional right to equal protection had been violated because of different admissions standards for white and minority students. Two rulings thus far in the case have affirmed the validity of the Bakke decision and narrowed the scope of the case. Last November, the U.S. Court of Appeals for the Ninth Circuit heard arguments against those earlier rulings, and will rule, probably sometime this year, on whether Bakke can still be used as the legal affirmative action standard and whether some parts of the case have become moot because of a state ballot initiative on whether the law school could continue to use racial preferences. All of these cases rest at least in part on the Supreme Court decision of 1978 more fully known as Regents of California v. Bakke. Here the deciding opinion was written by Justice Lewis F. Powell, Jr., saying that institutions could use race as a factor in admissions but could not set aside specific numbers of places for members of minority groups. Among the four cases, probably most attention is currently focused on the University of Michigan cases, where President Bollinger has made a passionate, committed, influential argument for diversity in the university environment as necessary for true education. Because of the school's commitment to diversity, and because of the admissions practices used up to now, Michigan enjoys perhaps the best ratio of minority enrollment of any of the nation's most prestigious institutions of higher education. In this effort, Michigan, and other leading universities, have for some time enjoyed the cooperation and support of corporate America. Businesses, including Fortune 500 companies like Bank One, Dow Chemical, Eli Lilly, General Mills, KPMG, Microsoft, Procter & Gamble, and Texaco, under increasing pressure themselves because of a labor shortage and the need to provide a workplace where diversity is the norm, have turned to the nation's universities to provide the trained, diverse people needed for the nation's future. They do this by contributing large sums toward recruitment of minority students through scholarships, and by supporting programs aimed at promoting scholastic success and diversity. It makes sense. How can American society aim for, much less approach, equality of opportunity and its corollary, successful integration into the American dream, if its citizens are not educated for what is needed to participate. It is here that all four universities and their respective lawsuits take on absolute importance for our future. Which case will be the first to make it to the Supreme Court remains to be seen. At the moment, the University of Michigan seems to be in the lead. However, the eventual decision of the high court also depends upon two other important factors: an exploration of Bollinger's argument for diversity, and a close look at what diversity is coming to mean in this country. It's not just blacks and whites anymore. Increasing numbers of immigrants of all nationalities complicate the picture. The question of who experiences discrimination, to what degree, and for what reasons must be addressed, we would hope, before any Supreme Court decision. It is widely assumed that the current American president will determine the outcome by those he appoints to the Supreme Court. John D. Skrentny, author of The Ironies of Affirmative Action: Politics, Culture, and Justice in America, advocates establishment of a new bipartisan presidential commission to study these complexities and report to the nation how to deal with them. Such a commission would, unlike what he calls the failed Clinton commission on race, provide guidance for national and local equal-opportunity policy.